Dean Lowell Croskrey was born Dec 1,1931 in Kalispell, MT. Dean went to be with His Lord and Savior on Sept 12, 2018 . Dean grew up in Kalispell and began developing a love of woodworking at an early age. He became an accomplished craftsman making dressers and desks for his children. He loved carving animals from pieces of wood he found and collected. He enjoyed endless hours in his shop, building, creating, designing and fixing everything. Dean had an amazing ability to draw his design for a particular project and then carry that design to a finished product. These early skills set the stage for his college years. 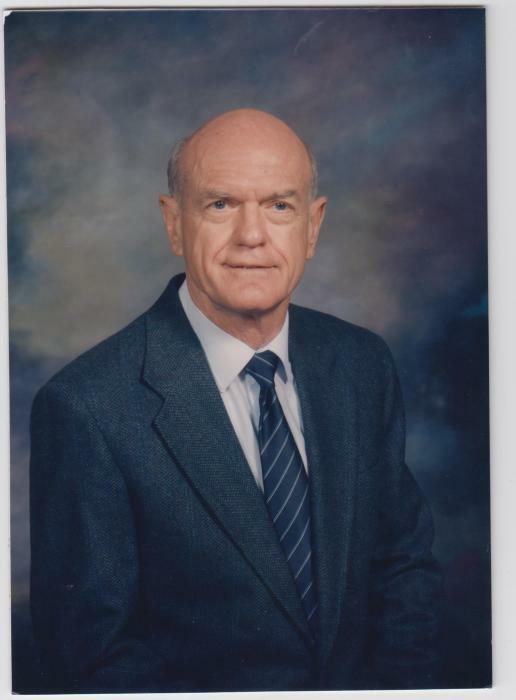 He began his years at Montana State in Havre and then graduated with a degree in Industrial Arts in 1953. A year before graduation, he met and married his wife of 62 years, Laberta May, who preceded him in death in 2015. They began their married life in Seattle while Dean worked for Boeing as a draftsman. Dean had an interesting list of jobs through his life from Anaconda Aluminum Corp, Kaiser Aluminum, to Dupar Dynamics and Bitco where he realized a need for educating personnel regarding hydraulics. This led him to teach a night class at Spokane Community College in hydraulics and pneumatics which began a 22 year career as the department head and teacher of the current Hydraulic and Pneumatic Automation Technology Program offered at SCC. After their graduation, Dean often helped the students in his program find jobs in the Fluid Power Industry. His family recalls many students calling and visiting him long after he retired to thank him for all he did for them. In1986 Dean was awarded the Vocational Education Contributor of the Year Award by the WA State council on Vocational Education in Olympia, WA. In 1990 his department also received the Outstanding Vocation School Award from the Dept. of Ed. in Washington DC. As a highly respected expert in the hydraulics field, Dean’s knowledge and ability to trouble shoot a hydraulic problem led him to many places in the world including, Europe, China and much of the US including AK. Dean’s other interests involved photography and his love of music encouraged his children and grandchildren to pursue their musical abilities. 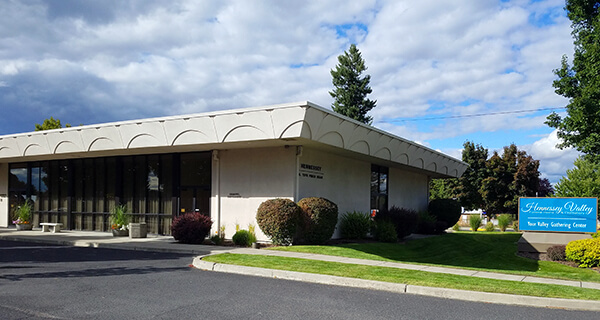 Dean attended the Spokane Valley United Methodist Church with his wife since 1960. He enjoyed singing in the choir, helping with the youth, church repair projects and being involved with the Koinonians in his later years. Our parents attendance and involvement set an example to their 4 children. Believing in God and His son Jesus was essential in how they lived their lives. Dean’s work ethic and his drive to be an excellent provider for his family was a testament to that faith. The last 4 years of his life were difficult for him and for his family as he succumbed to the ravages of Alzheimer’s Disease. We did however see many blessings of God’s mercy and are grateful for His grace. We saw a beautiful, gentle and humorous side of our father. Our family wants to thank the many caregivers along the way who sincerely gave him the best care and maintained his dignity. We also want to thank many of you who came to visit and tell him how much you appreciated his help along the way. It meant a lot to him at that moment in time and in doing so, you also blessed his children. Dean is survived by his children, their spouses and grandchildren: Terry Croskrey, (Gloria Hutchins), Linda, (Bruce) Booher, Chris, Eric and Steven, great grandchildren Jackson and Conrad, Greg (Teena) Croskrey, Cady and Mikaella, Nancy Croskrey, (Michael) Myers, His sponsored Chinese son Mark Wen and son, Andy, our Aunt Merry Horn, a brother Dale Croskrey, (Janice), nephews and niece, Dan,(Kathy) Croskrey, Thomas, Rachel and Matthew, Dallas, (Angie) Croskrey, Jason, Jeff, Jesse and Pat Ruth, (Mike) Sims, David Croskrey, Stephen and Janna.